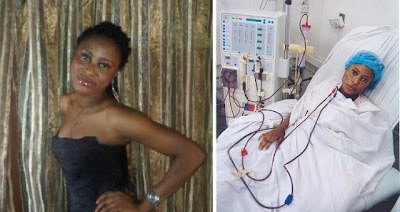 Yimiton's Blog: ADEYEMI ADEBUKOLA RISIKAT (KIDNEY/RENAL FAILURE). SOS! ADEYEMI ADEBUKOLA RISIKAT (KIDNEY/RENAL FAILURE). SOS! A very good friend of mine just told me about his cousin in dare need of help. 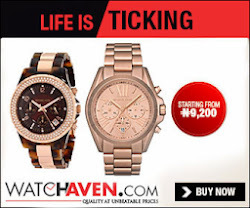 She's in the hospital and needs N15 million to undergo a life saving surgery. He's calling on you and I to please donate our quota to this lady to help save her life. Read up for yourselves what he's said about her and please do donate something, no matter how small or big to her account. Adebukola Adeyemi is a young woman who has been through a lot in her life. An indigene of Lagos State (from the Oluwa Family). She's a graduate of Mathematics from the UNIVERSITY OF LAGOS and a National Diploma holder in Estate Managment from YABA COLLEGE OF TECHNOLOGY. She has been diagnosed with Acute Kidney/Renal failure and Urgently requires a kidney transplant procedure. Presently she undergoes dialyses twice every week at LAGOS UNIVERISTY TEACHING HOSPITAL (LUTH) just to survive and the need for the transplant has been regarded as top priority for her chance to survive. The Irony of life is while she struggled to see herself through schools having lost her father at a tender age of 15, she was a strong, focused person who rarely visited the hospital for any illness. Earlier this year she lost her mother and thus became an orphan. This diagnosis is coming just a few months after securing her 1st job since her National Youth Service which she completed in 2010 in the Federal Capital Territory. We call on well meaning Nigerians, NGOs, religious institutions to please come to her aid and help this young African woman with so much dreams to fulfill and a lot more to impact on the society. note: please share this page to help spread this across. we appreciate even this as a support towards her recovery.